I am a firm believer in teaching each student what they want to learn and what I think they need to learn. This includes all aspects of guitar playing such as songs, technique and examinations if the student wishes. I also have a vast amount of experience and knowledge of guitar equipment such as amplifiers, effects and guitar related computer software, which I will happily pass on to a student if they wish. I also encourage all my students, once they have aquired enough information, to compose their own music so they can apply what they are learning and discover their own, unique voice on the instrument. My aim is to prepare each student to be able to play guitar confidently in any musical situation in a variety of styles. Someone once said ‘Knowledge is Power’ and this couldn’t be more true for a musician. The more you can play, the better chance you have of passing an audition/being called for a session/joining a band e.t.c. Leaving the confines of your bedroom and taking your first steps into the vast ocean that we call the ‘music business’ armed with only your favourite riffs from ‘Guitar Hero 3’ will not get you very far! Pop, Rock, Metal, Jazz Fusion, Funk, Blues, Acoustic. 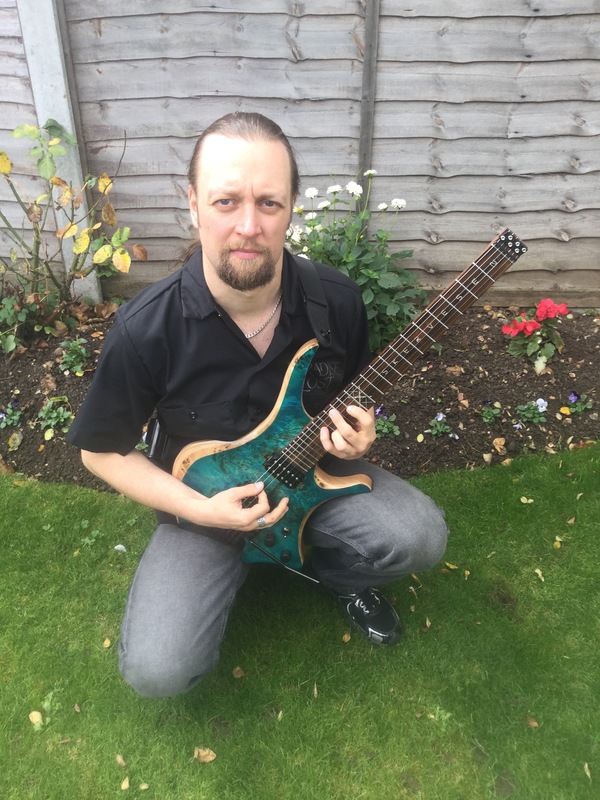 I am well established in Hertfordshire for both my tuition and the work I have done in the music business such as recording, touring, and I am happy to advise on these aspects as well as guitar tuition. My aim is to produce the best results in a relaxed but professional atmosphere. Lessons are held at the students home Mon-Fri evenings and on weekends but I can also accomodate students during the day if required (this is ideal for shift workers, for example), and also at Gig Gear Music, Harlow (see below for details). I have evening appointments available Mon-Fri and weekend appointments available. Please contact me for details. I have several 30 min and 60 min appointments available at GigGear Music, Harlow on Saturday’s, Sunday’s and Monday evenings. Please contact GigGear on 01279 432900 for details. PLEASE NOTE: I DO NOT TEACH AT MY HOME ADDRESS. This area extends as far as (clockwise): Buckland, Great Hormead, Little Hormead, Hay St, Braughing, Nasty, Cottered. This area extends as far as (clockwise): Barley, Furneux Pelham, Little Hadham, Puckeridge, Standon, Colliers End, Dane End, Walkern, Ardeley, Clothall, Rushden, Sandon, Kelshall, Therfield, Reed. This area also covers the major towns of Stevenage and Royston. For any students who would be interested in tuition at GigGear Music, Harlow, the lessons are held once a week and are booked and paid for in advance in blocks of four. Lessons are priced at £16 per 30 mins, or £32 for 60 mins. As I am teaching ‘in store’, GigGear are responsible for arranging all aspects of this tuition, so, for any information, please contact GigGear directly on (01279) 432900 to discuss your requirements. 1. 24 hours notice is required for cancellation of a lesson. If insufficient notice is given, the lesson will be charged in full. There are no exceptions to this. 2. Consistent cancellations will result in the students time being given to someone else. 3. Steve Wallace will not provide any student with a guitar for tuition. 4. Steve Wallace reserves the right to cease teaching any student at any time.